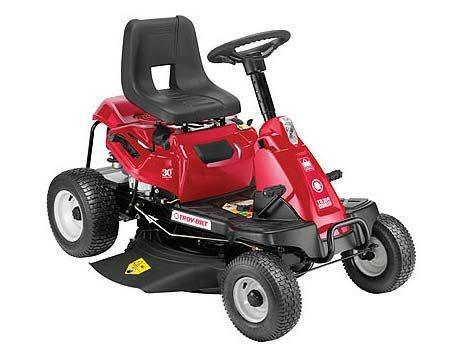 The TB30 R hydro rider lawn mower's smaller frame, 30 in. cutting deck and 18 in. turning radius, couples the benefits of a standard riding lawn mower with the size of a wide cut walk-behind. The TB30 R also features a comfortable medium-back seat, LED headlight and telescoping steering wheel. Hydrostatic transmission provides less maintenance, allows smooth acceleration and requires no shifting to change either direction or speed. Rear - 16 x 6.5 in.